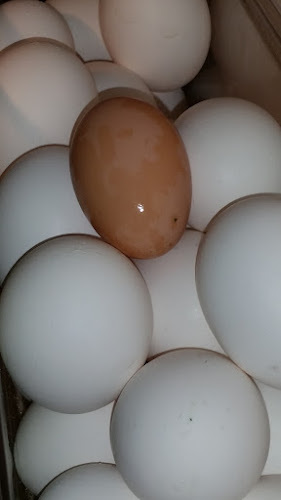 I had to take a second glance before realizing it wasn't one of the ping pong balls I hid in the nests to give the girls the hint that was the place to do their laying. Those slackers may be ready to earn their feed. I knew at least one was a few weeks older than most of the others. Yum! 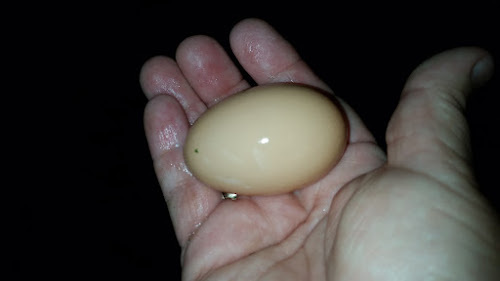 Yes, it is truly a pullet size, but that will improve with age. Omlettes and pound cakes, and custard...oh my!